UM-Flint and the Flint Farmers' Market to "Light Up the Night" UM-Flint and the Flint Farmers' Market to "Light Up the Night"
Kids playing with glow sticks at the 2015 Light Up the Night event. 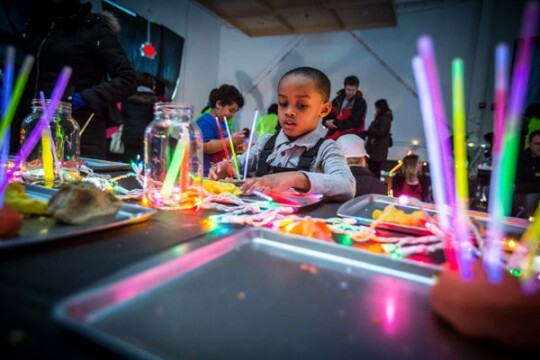 The University of Michigan-Flint’s Early Childhood Development Center (ECDC) will once again illuminate the Flint Farmers’ Market’s community room from 5:00 p.m. to 8:00 p.m. on January 28 with its popular Light Up the Night event. Families with children of all ages are encouraged to come to the free event. 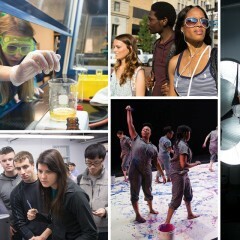 Activities include a light maze made from boxes, neon painting, black lighting from UM-Flint Theatre Department, light tables, glow sticks, activities with the UM-Flint Chemistry Club, a photo booth, and a dance floor with neon props and disco lighting. ECDC Assistant Director Joslyn Marinelli assists children building structures with colored tiles. 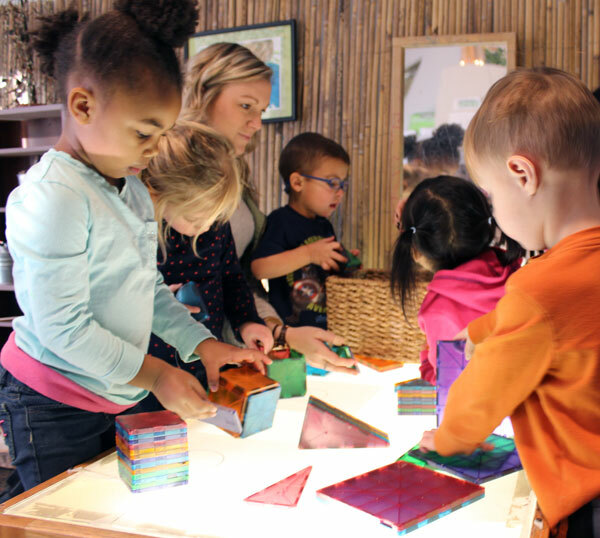 Inspired by the Reggio Emilia educational philosophy (which was originally developed in Italy), the ECDC emphasizes collaborative and enriching learning experiences that provide children with opportunities to explore their environment with guidance from staff. 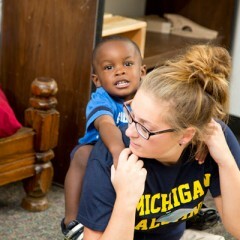 Light Up the Night provides a way for the ECDC to reach out to the Flint community and support local families. 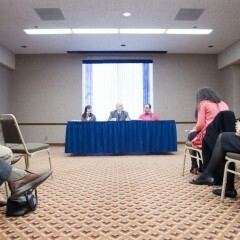 The event is loosely based on a similar event held at Bambini Creativi, a child development center in Kansas City, Missouri, which also utilizes the Reggio Emilia philosophy and whose founder has led seminars in Lansing. 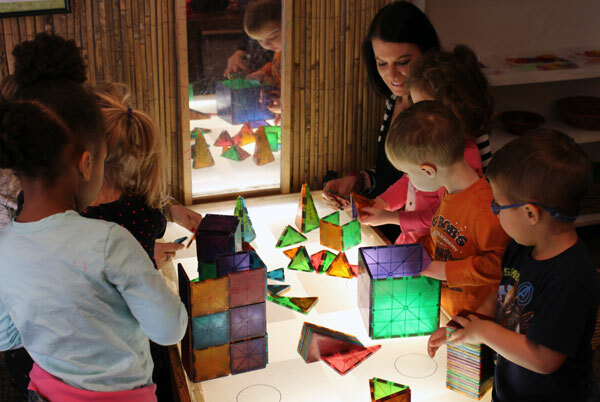 Light tables at the Early Childhood Development Center spark excitement among the children. UM-Flint’s Light Up the Night provides a safe and fun environment for children and youth to play in a dark setting. It’s a way for kids to feel comfortable playing and exploring in the dark without the typical fears associated with the dark. Several community groups and businesses also support the event, including For-Mar Nature Preserve, A Bit of Earth, Whimsicality, Tom Tom Photo Booth, Crust, the Flint Children’s Museum, Taylor Hurley Photography, the UM-Flint Early Childhood Education Club, and the School of Education & Human Services. Italian-themed refreshments will also be available.